man and began a long career as a seaman. In 1703, Bering enlisted in the Russian navy. Copenhagen in 1715, Bering never saw Denmark again. TO THE EASTERN COAST OF SIBERIA. A short relation of the Siberian Expedition upon which (I) was sent. Of your Imperial Majesty the most humble servant and fleetcaptain, W.I.Bering. of which is hereunto affixed. one or two boats with decks. and which is supposed (since no one knows the end of it) to be continouous with America. account prepared, placed on the chart and brought back here. From The National Geographic Magazine, Vol. II, No.2, 1890.
to find out whether Asia and North America were connected. set sail. 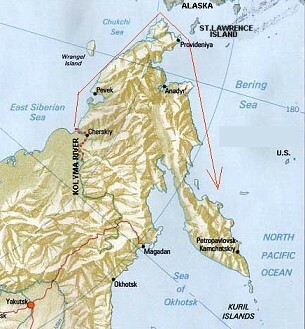 It took the expedition until 1728 to reach the Siberian peninsula of Kamchatka. criticised for not having actually seen the American coast. The vessel was provisioned (in Kamchatka) with everything needful for forty men for a year. as the map constructed for that purpose will show. we should see an island. This proved true, but we saw nothing valuable upon it except huts. two occasions to look for inhabitants. Chukchi coast nor to the eastward could any extension of the land be observed. 1st of March, 1730, (without having found America). expedition the world ever saw. It included 10.000 men all in all. the name it bears today. were given the task of charting waters around the Alaska Peninsula and the Aleutian Islands. few crewmembers followed Stellers instructions, the men were continually plagued by illness. Sailing once again, the ships were battered by storms over a period of several months. menweakened by fatigue and plagued by scurvyfinally succumbed to disease and starvation. Among them was the Danish expedition leader, Vitus Bering, who died on 19 December. Today, that small island bears his nameOstrov Beringa. Who was the first one to find the seaway between Alaska and Asia? through Siberia. When they arrived Kolyma river they fit out seven small trading boats. was accommodated on the other two. Then the two got separated after hostilities with the Chukchi people, and only one lead by Simeon Deshneff finally reached Kamchatka. In 1711 an emissary named Peter Ilimsen Popoff was sent to East Cape by the Russians to induce the Chukchi to pay tribute. He failed, but brought back an account of islands beyond East Cape, and of a continent reported by the Chukchi to exist beyond these islands. 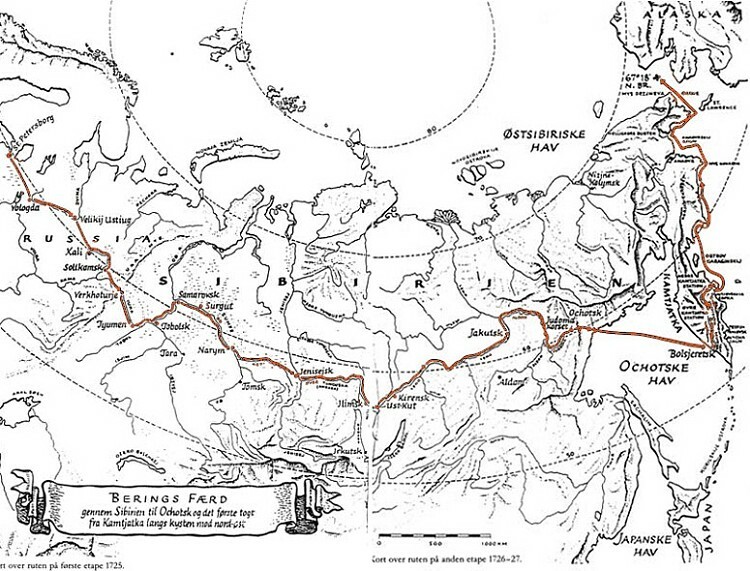 Now reports about these expeditions of this period came to sleep in the archives at Yakutsk. About 1720 new explorers brought to attention to the Emperor Peter the Great. of the expedition, with Lieutenants Martin Spanberg and Alexie Chirikof to be his assistants. How did they navigate and find their exact position out there? instrument upon another, the observer's back of course, being turned to the luminary. watches or clocks for use in dividing intervals of time. Original Report upon it." By Wm. H. Dall. 2. Where on Earth is Kamchatka?